Why is it important for all of us? 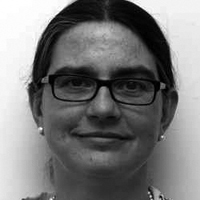 Dr Silke Holtmanns is a distinguished member of technical staff and security specialist at Nokia Bell Labs. She researches new attack vectors and mitigation approaches. The creation of new and the investigation of existing security attacks using SS7, Diameter and GTP via the Interconnect lead to new countermeasures for 4G/5G networks. Her focus lies on the evolution and future of security for mobile networks. For 5G she investigates potential risk areas coming from the combination of IT security and signaling threats. As an expert on existing and future attack patterns for interconnection security, she provides advice and input to customers, standard boards, and regional and national regulating governmental bodies e.g. in US FCC and EU ENISA. She has over 18 years of experience in mobile security research and standardization with strong focus on 3GPP security and GSMA. She is rapporteur of ten 3GPP specifications and of the GSMA Interconnection Diameter Signalling Protection document. She is (co)-author of more than 70 security publications. 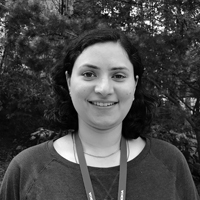 Isha Singh is the co-autor of the talk that will be presented at DeepSec. Isha is a masters student at Aalto University in Finland and doing her thesis research work at Nokia Bell Labs under the guidance of Dr. Silke Holtmanns. She has a Masters in Wireless Communication and Machine Learning. She has published paper on smart city environmental perception from ambient cellular signals and 5G Ubiquitous sensing. Isha is passionate about IoT devices and their security in the 5G scenario. She has experience working on embedded devices (Arduino, Raspberry Pi) for multiple projects like Analog to Digital converter used in optical communication and face recognition. Presently Isha is exploring Cybersecurity, starting from the mobile communication core network security. Testing loopholes and providing solutions using Machine Learning. This entry was posted on September 19, 2018 at 09:05. You can follow any responses to this entry through the RSS 2.0 feed. Both comments and pings are currently closed.